Easy Earner is a new binary options trading system. The people behind the software are telling traders that they can earn over $160,000 in 6 short weeks anywhere around the world. They claim that they are not another one of those bad videos here to waste your time. Well, today in my review I’ll let you know if they are telling the truth or if I feel like this is truly another waste of time. The easy earner webpage consists of a short sales video, a couple of scripts and an email subscription form at the bottom of the page. The developers of the system demand that we give them our full attention. They believe that the video moment take 5 minutes and that it will change our lives without costing us a single penny. This is another one of those systems with the developers tell us that they’re not here to take anything from us but they’re going to give us something for free that will benefit our lives. I don’t want to say too good to be true but these systems and sales pitches usually are. The video for the easy earner product is much like those we’ve seen in the past. They are telling traders that if they’re not earning at least $10,000 a week then they have to watch this video. It really bothers me about this developer is that they are using the exact same fake trading scripts as everyone else. On the bottom left-hand side of the page there is a bubble that says live profits, there is no doubt in my mind that this is fabricated and none of these results are actually true. On the bottom right-hand side it says that there’s only a few copies remaining but if you refresh the page this starts over again and so does the other script. That’s how I know they are not real. I can’t recommend easy earner because they are using deceptive marketing methods. I can only invest in companies that show full transparency so I know exactly what I’m getting myself into. When a company is telling me I’m going to make hundreds of thousands of dollars in very short periods of time, I lose interest quickly. If you something you would like to contribute to this review please leave your questions and concerns below the article. 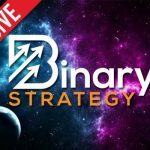 I appreciate the time you spend here at binary today and hope that it helps you become a better trader.